The 1979 vintage of Ch. 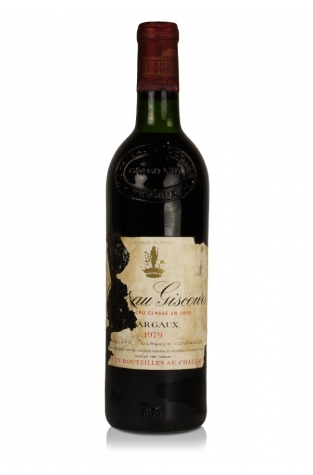 Giscours, a third growth Margaux, is a lovely wine with a very dark, ruby colour. Heavy floral aromas tied in with dark fruit, liquorice, cedar and peppery notes come out of this awesomely concentrated wine with softened tannins. There is a small chance this special wine is past its peak but is most likely to be mature, complex and a veritable treat. Due to the age of this wine we cannot guarantee the drinking condition that it is in. We suggest you visit www.cellartracker.com to find recent reviews. The label is somewhat damaged but the capsule is in great nick and the level sits at the base of the neck.